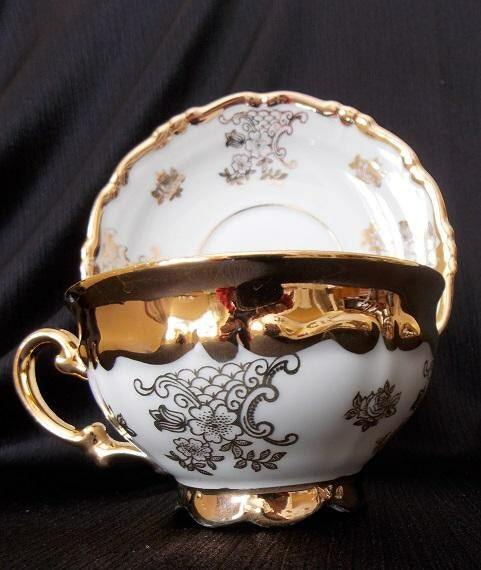 A lovely porcelain tea cup and saucer set features a wide mouth and footed cup and a slightly scalloped edge saucer. 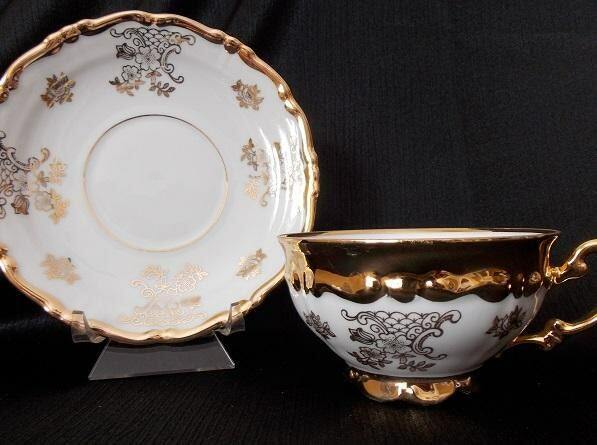 It is an overall white color with gold floral, leaf and scroll design. 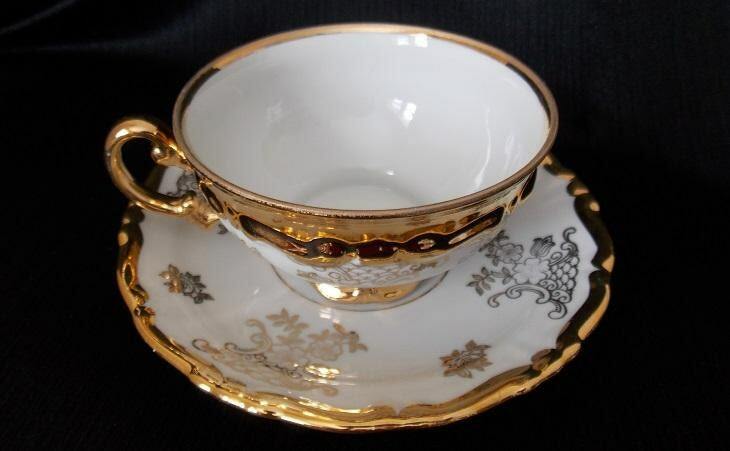 The tea cup has a gold trim on the rim, foot and handle. 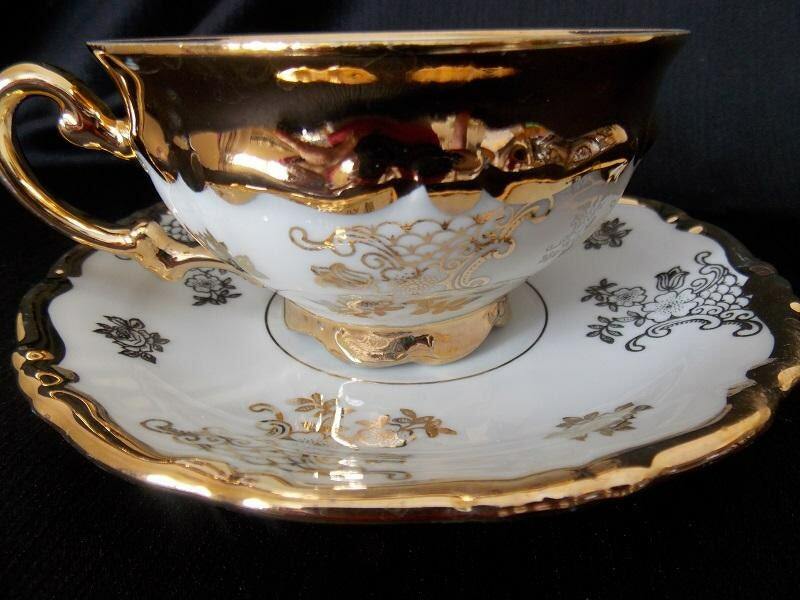 The saucer has gold trim along the edge and a gold line running along the inner circle where the cup sits. 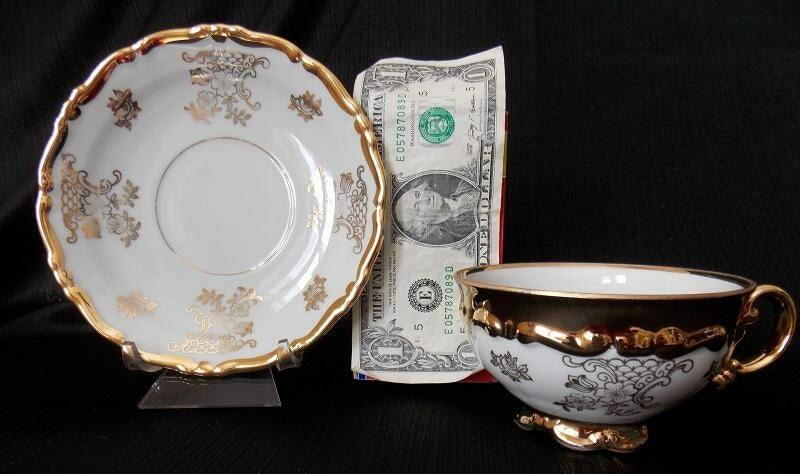 The bottom is stamped with an "F" inside a shield.